Weeks after Confederate monuments were debated in local and national news, the issue might see new rules in Georgia with a set of bills in the state legislature this session. Versions of the bill appear in both the House and the Senate, sponsored by representatives Mary Margaret Oliver and Elena Parent respectively. Previously, it was Georgia law that local governments could not remove or conceal monuments on state land. Since most offending monuments are on state courthouses or other state buildings, that left those wanting them removed at a loss. The Dekalb County Commission voted in October to remove an 105-year-old monument from Decatur Square. There was speculation at the time over how this would be done, given the laws. Dekalb County attorney Overtis Brantley released a comment in late November, and said the monument is owned by Dekalb County, not the state, and can be moved. According to the state representative for the district, Mary Oliver, it was local pressure on the issue that ignited the bill. “The impetus came from my constituency,” she said. Oliver said she was struck by the response from residents after she introduced the legislation. She admits she was never personally affected by the monuments but respects the violent history they represent for her constituents. However, she told that rotary club she doubts the bill will see a vote this session. 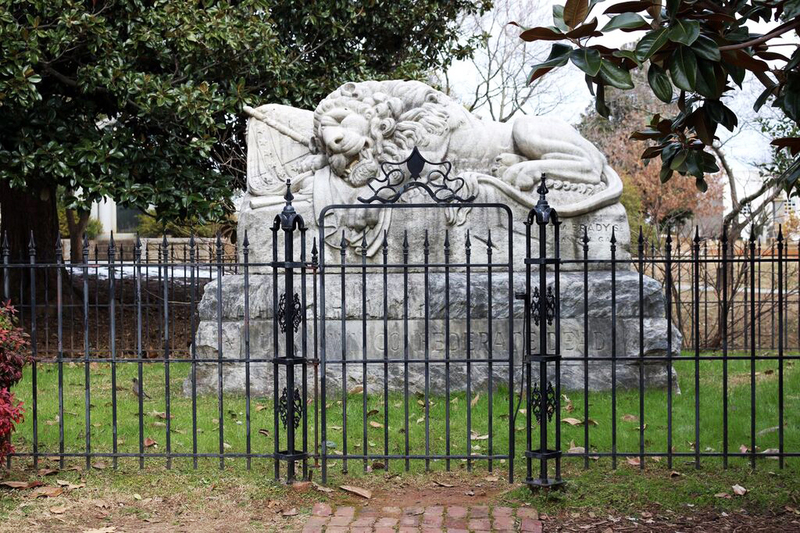 Oliver took inspiration and support from the Atlanta History Center (AHC), who has been adamant about the monuments being altered to place them in a historical context. As a result of their research, the AHC contended most Confederate monuments are symbols of white superiority erected during the Jim Crow era in response to the Civil Rights movement. This same sentiment is expressed not only in their publications but by Sheffield Hale, AHC CEO and President, while he served on a mayoral advisory committee on Atlanta’s Civil War memorials. There he said, while making a final decision is above the authority of the committee, their goal was to listen to the public. Their final recommendation was not to remove the monuments, but to frame them in historical context and explain they were built to glorify white supremacy. Former state representative LaDawn Jones was brought into the spotlight on this issue in August when her colleague in the Georgia legislature, Jason Spencer, threatened her on Facebook for her support on Confederate monument removal. She said she is in support of the bill, and believes the emphasis on local control is central to the issue. “I just think this is a good time for them to have some courage, for them to have some real dialogue on this issue,” Jones said. The Georgia Sons of Confederate Veterans have hired a lobbyist for the 2018 session, but Jones is not sure that will affect the bill’s chances. “If people speak up, no matter if those people are lobbyists or citizens, you know whomever seems to have the most support is oftentimes the group that is listened to,” she said. Our past is a rich diverse history. Sadly, our educational system has not taught us an in-depth study of our true past. Our monuments are a moving historical reminder of our history and should never be altered, moved or defaced. To do so would erase our true history forever and would be a great disservice to our cities and state.